I am currently writing a book on love, both God’s love and our love. In writing the first half of my book I have sought to deal with the cross. I do not know how you can talk about God’s love and not go to the cross. 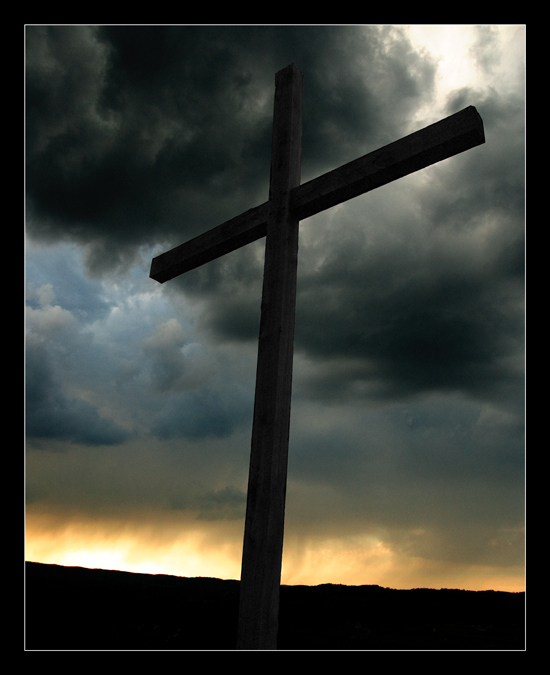 Every reader of the New Testament can readily see that the cross is central to the story of God’s love and redemption. I have decided to make my way into this controversy, with fear and trembling in one way, precisely because I believe that we miss the love of the God by a focusing on a wrong view of substitution. I also believe that this “theory of the atonement” debate is just that, a debate about theory. More to come over time. For now I have been thinking about how the Orthodox Church has a doctrine of salvation that includes the whole world, or the teaching of cosmology. Simply put the Orthodox do not treat the incarnation, the cross, and resurrection as separate events when explaining our salvation. I have concluded that this approach has to be correct because it fills in some holes in our Western way of thinking that is too individualistic. It also challenges the tendency in the West to center on legal categories when it seeks to explain the cross and God’s love. In Orthodoxy the weekly liturgical emphasis is not just on the cross but on the whole incarnation-cross-resurrection–ascension theme and how they are an unseparated reality for the salvation of all of God’s people. The implications are, to put this mildly, huge. For starters, a ”theology of the cross” reductionism takes away from the radical implications of the incarnation, resurrection and ascension as (also) central to our salvation. The result, for many evangelicals, is an almost totalizing stress upon salvation as coming to us via the cross (once and for all) in order to “get saved.” The reality is that we come again and again to God’s whole salvation experience by coming again-and-again to Jesus – God incarnate, loving, dying, rising and ascending to intercede for us at the Father’s right hand. (We are “being saved” as the New Testament clearly says.) This leads to the eschatological glorification of the entire cosmos (not simply to saving persons). This view of cosmic salvation has massive implications for day-to-day living if you believe in the eternal love of the Triune God. What interests me, as a Reformed minister and theologian, is that there has always been a healthy interest in these themes, and how they intersect as a whole, in the Reformed tradition. In nineteenth century America, for one example, there was a type of Reformed thinking that was called “Mercersburg Theology.” It was taught by two prominent theologians by the name of John Williamson Nevin and Phillip Schaff. Serious traces of Orthodox theology are present in both these great theologians, reminding me that what goes around comes around. To not seriously read the tradition that we are within, by reading it whole, we often miss a great deal. Any chance that you could preach on this theme when you come to State College? John, you refer above to the Eastern Orthodox perspective. I am currently trying to get my head around the different atonement theories. What resource(s) would you suggest to help me understand how the Eastern Orthodox approach it? Your blog post has whetted my appetite. The EO view is generally consistent with Christus Victor which I concur is better but I think it too loses some appeal for other reasons. I’d rather not say more now since I am writing this day-to-day. One thing I know is true – I am saved by the truth and “Christ died for our sins” is the truth. What he did in his death is NOT the central point, Theories of atonement are just that – theories. Theories do not save us. Okay. Looking forward to reading the rest of your thoughts! Yes, “theories do not save us.” But it seems that you are arguing that theories matter a great deal. If a theory mis-represents the character and nature of God, eventually it hinders our experience of God and our witness to the world. When people sound the alarm, claiming that “the gospel is at stake” if someone tampers with their favorite atonement theory, that isn’t strictly true; the gospel isn’t at stake. But other things are at stake, and those things are important. You are right on Joe. Theories do not save but the theories becomes tools to hurt God’; people in various ways. This is how I got stuck in this issue in trying to write on divine love. I believe our understanding of divine love is harmed by most of the theories. We are not saved by understanding the gospel correctly. Rather, we are saved in order that we may understand the gospel correctly. So, just as with Christian unity: Unity is not a product of right doctrine, but rather, right doctrine is (will be) a product of unity. It’s not that right doctrine produces unity, but rather unity produces right doctrine (eventually). So, the reason that contemporary Christian doctrine stinks is that it is not built upon Christian unity (or wholeness), but is build on denominationalism (divisions). Gluing all the denominations together will not produce unity because the whole is actually is greater than the sum of the parts. Rather, ecumenicalists have got the stick by the wrong end because they are working to construct right doctrine in order to produce unity. But right doctrine is not the accomplishment of some static belief system, rather right doctrine is the dynamic process of growth and maturity (sanctification) in Christ. Truth is dynamic, not static; more quadratic than linear; a Person not a thing. Unity is a given, not an accomplishment (Eph. 4:3). Unity is more like a great feast than a quiet walk in the park. It’s messy, noisy, and full of disagreement–but the disagreements don’t divide. They are engines of sanctification, not engines of war. John, if you are willing to evaluate atonement theories on the basis of what they imply about divine love — and that seems like a good idea to me — then are you also willing to evaluate theories of inspiration of Scripture in a similar fashion? Dat’s a big can o’ worms. One of the biggest obstacles to believing “God is love” is the Bible itself. Or, more precisely, certain ways of reading the Bible, especially the Old Testament. Joseph, if we let the Bible define love, then it is not an obstacle, even the OT. We then learn that love is not simply a warm and mushy feeling of harmonious belonging, but is the commitment to belong no matter what. Phillip, I don’t think it’s an obstacle, but there are many who do. When I’ve said “God is love,” the most common response I’ve heard from evangelicals is not “Amen” but “Yes, but…” They will say that he is also holy, righteous, vengeful, jealous, punishing, etc. and can easily “prove” it with Scripture. It makes them uneasy, because it calls into question their whole paradigm for reading the Bible. John Wilczewski liked this on Facebook. I understood this in the way Joseph L Schafer expresses it and find the same again and again. I am seeking to show what is wrong with this approach in my work. thanks john…for getting so much of this right about the FULLness of salvation per Orthodoxy. John as I am sure you are aware … what you are after will change the way we read the Bible… this change may be very difficult for many of us neo-evangelicals… I love it!